Prominent & Leading Wholesale Trader from Mumbai, we offer digital portable tachometer, kusam meco tachometer, analog tachometer fuji, photo contact tachometer, opama tachometer pet 1000 and combined tachometer. 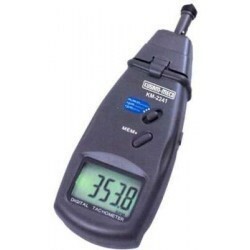 We are leading organization actively engaged in offering wide assortment of Digital Portable Tachometer. 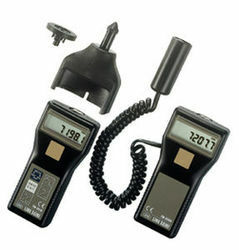 The tachometer offered by us is designed with contemporary techniques in accordance with the set standard of market. 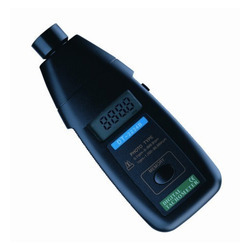 We offer this tachometer in diverse specifications and deliver within the promised time. Offered tachometer is tested in terms of quality in order to supply a defect free range. Microcomputer LSI Circuit, It is housed in tough ABS case& has ergonomic design for easy holding in the hand. 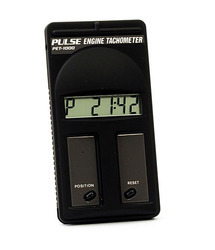 The PET-1000 pulse tachometer can measure rpm of engine by bringing it close to plug cord of the engine. This is only 13 mm thick and can be put in pocket. The model PET-1000 is designed for engine models 2 stroke (1 and 2 cylinder), 4 stroke (1, 2 & 4 cylinder). An antenna lead is supplied to use if needed. Built in thermometers to measure the temperature of cooling water and oil of an engine. 2pcs of Reflecting Tape (350mm).